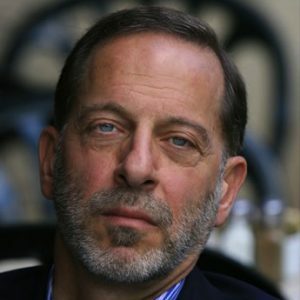 Rashid Khalidi received his BA from Yale in 1970, and his D.Phil. from Oxford in 1974. He is editor of the Journal of Palestine Studies, and was President of the Middle East Studies Association, and an advisor to the Palestinian delegation to the Madrid and Washington Arab-Israeli peace negotiations from October 1991 until June 1993. He is author of: Brokers of Deceit: How the U.S. has Undermined Peace in the Middle East (2013); Sowing Crisis: American Dominance and the Cold War in the Middle East (2009);The Iron Cage: The Story of the Palestinian Struggle for Statehood (2006); Resurrecting Empire: Western Footprints and America's Perilous Path in the Middle East (2004); Palestinian Identity: The Construction of Modern National Consciousness (1996); Under Siege: PLO Decision-Making During the 1982 War (1986); British Policy Towards Syria and Palestine, 1906-1914 (1980); and co-editor ofPalestine and the Gulf (1982) and The Origins of Arab Nationalism (1991). “The Future of Arab Jerusalem.” In Arab Nation, Arab Nationalism, 19-40. Edited by Derek Hopwood. Vol. 2, London: MacMillans/St. Antony’s College, 2000. “Intellectual Life in Late Ottoman Jerusalem.” In Ottoman Jerusalem: The Living City, 1517-1917, 221-228. Edited by Sylvia Auld and Robert Hillenbrand. London and Jerusalem: British School of Archaeology and World of Islam Festival Trust, 2000. “The Palestinians and 1948: The Underlying Causes of Failure.” In The War for Palestine: Rewriting the History of 1948, 12-36. Edited by Eugene L. Rogan and Avi Shlaim. Cambridge: Cambridge University Press, 2001. “Perceptions and Reality: The Arab World and the West.” In The Revolutionary Middle East in 1958, 181-208. Edited by Wm. Roger Louis. Washington, D. C. and London: Woodrow Wilson Press and I.B. Tauris, 2002. “Arab Society in Mandatory Palestine: The Half-Full Glass?” In Histories of the Modern Middle East: New Directions, 229-246. Israel Gershoni, Hakan Erdem and Ursula Wokök, eds. Boulder: Lynne Reiner, 2002. “Concluding Remarks.” In The British and French Mandates in Comparative Perspective, 695-704. Edited by Nadine Méouchi and Peter Sluglett. Leiden: Brill, 2004. “The Past and Future of Democracy in the Middle East.” Macalester International, 14 (Spring 2004), 3-17. “A Research Agenda for Writing the History of Jerusalem.” In Pilgrims, Lepers & Stuffed Cabbage: Essays on Jerusalem’s Cultural History, 12-27. Edited by Issam Nassar and Salim Tamari. Jerusalem: Institute of Jerusalem Studies, 2005. “The Place of the Middle East in the International System.” The Middle East: Challenge and Response. Bir Zeit: Bir Zeit University, 2005, 5-16. “Resurrecting Empire: The End of Year II of the Occupation of Iraq.” 2005 Farhat J. Ziadeh Diistinguished Lecture in Arabic and Islamic Studies. Department of Near Eastern Languages and Civilization, University of Washington, Seattle, 2005, 10 pp. “Iraq and American Empire.” New Political Science, 28, 1, March 2006, 125-135. “International Law and Legitimacy and the Palestine Question.” Hastings International and Comparative Law Review, 30, 2 (Winter 2007) 173-180. “The United States and Palestine.” In The Future of Palestine and Israel: From Colonial Roots to Post-Colonial Realities, 272-298. Edited by Aslam Farouk-Alli. Midrand, South Africa: Institute for Global Dialogue & Friedrich Ebert Stiftung, 2007. “Edward Said and Palestine: Balancing the Academic and the Political, the Public and the Private.” In Waiting for the Barbarians: A Tribute to Edward Said, 44-52. Edited by Muge Sokmen and Basak Ertur. London: Verso, 2008. “Anti-Zionism, Arabism and Palestinian Identity: ‘Isa al-‘Isa and Filastin.” In Configuring Identity in the Modern Arab East, 83-96. Edited by Samir Seikaly. Beirut: American University of Beirut Press, 2009. “Palestine and the Middle East: From Vienna to Washington, 1815-2005.” In Transformed Landscapes: Essays on Palestine and the Middle East in Honor of Walid Khalidi, 299-316. Edited by Camille Mansour and Leila Fawaz. Cairo: American University in Cairo Press, 2009. “La crise dans le système politique palestinien.” Politique Etrangère, 3 (2009) 1-13. “The 1967 War and the Demise of Arab Nationalism: Chronicle of a Death Foretold.” In The June 1967 War: Origins and Consequences, 264-284. Edited by Wm. Roger Louis and Avi Shlaim. Cambridge: Cambridge University Press, 2012. “The United States and the Palestinians, 1977-2012: Three Key Moments.” Journal of Palestine Studies, 42, 4 (Summer 2013) 61-72. “1948 and after in Palestine: Universal Themes?” In Critical Inquiry special issue “Around 1948: Interdisciplinary Approaches to Global Transformation,” edited by Lisa Wedeen and Leela Gandhi, 40 (Summer, 2014) 314-331. “The Persistence of the Sykes-Picot Frontiers in the Middle East.” London Review of International Law, 4, 2 (2016) 347-357. “Legacies of Arabic Thought in the Liberal Age.” In Arabic Thought beyond the Liberal Age: Towards an Intellectual History of the Nahda, 375-386. Edited by Jens Hanssen and Max Weiss, Cambridge University Press, forthcoming, November 2016. Unhealed Wounds of World War I: Armenia, Kurdistan, Palestine.” In The Arabs and the Armenian Genocide. Edited by Emre Daglioglu and Umit Kurt, Istanbul: Iltesim Publishing forthcoming, 2017 [Turkish]. “The Superpowers and the Cold War in the Middle East.” In The Middle East and the United States: History, Politics and Ideology, 157-176. Edited by David Lesch and Mark Haas, 6th edition, Boulder: Westview, forthcoming, 2017.